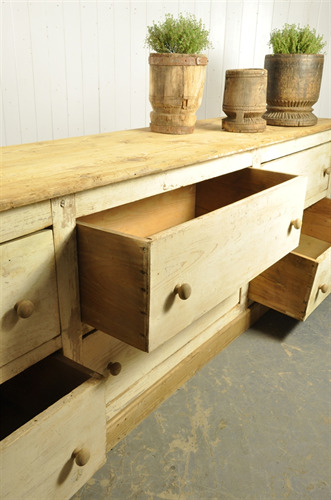 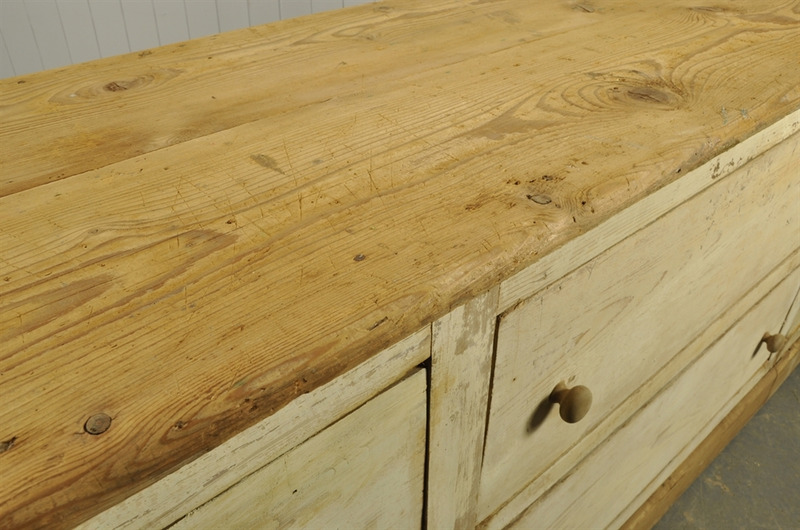 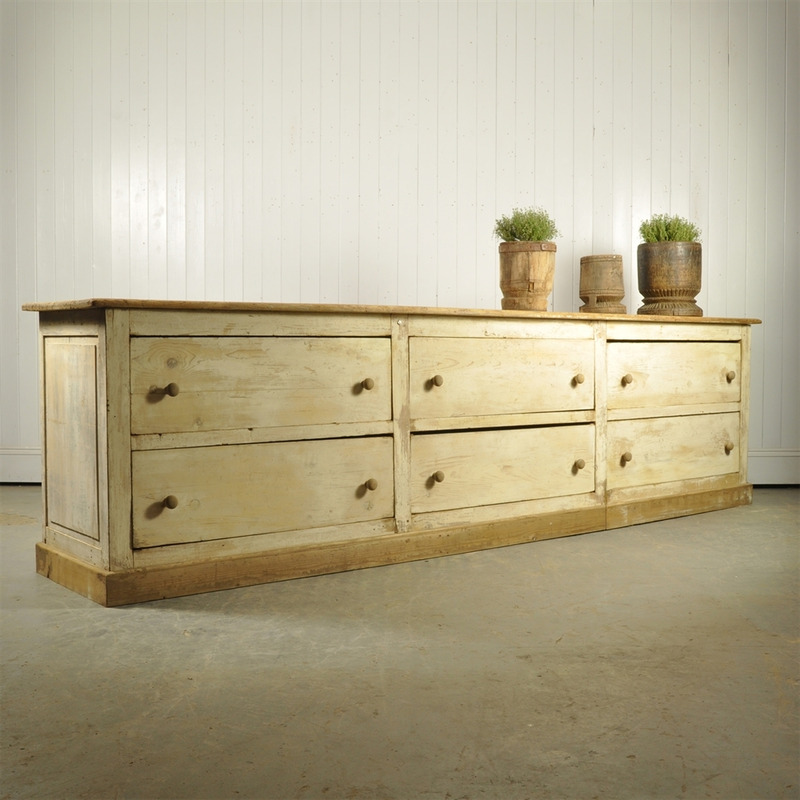 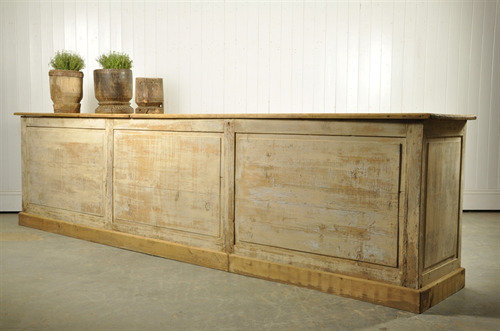 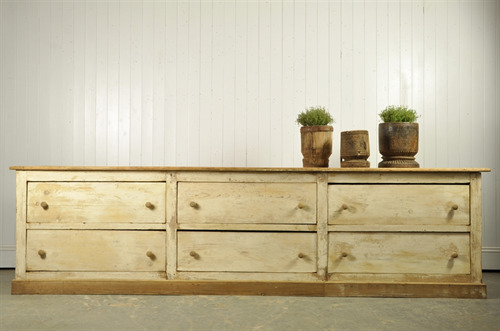 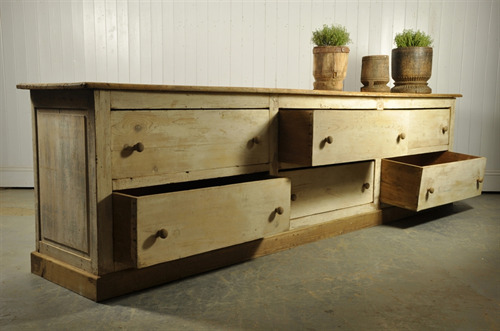 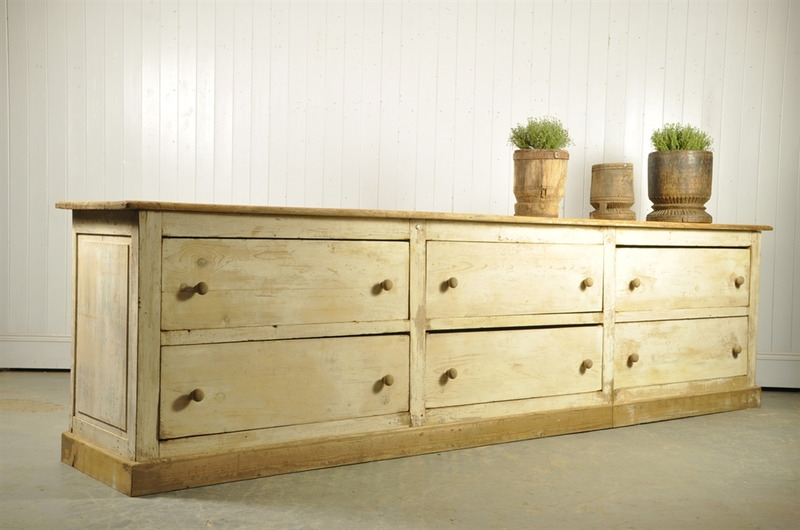 Sourced in Provence this very long antique cupboard has had several layers of paint scraped back revealing this older colour. The drawers look a little higgledy piggledy but have all been give the once over and now run smoothly. A little restoration, including a new mould along the base. A few scratches etc to the top, all very characterful. 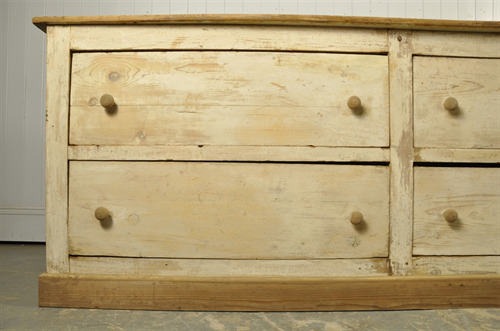 81 cm h x 300 l x 55 d.